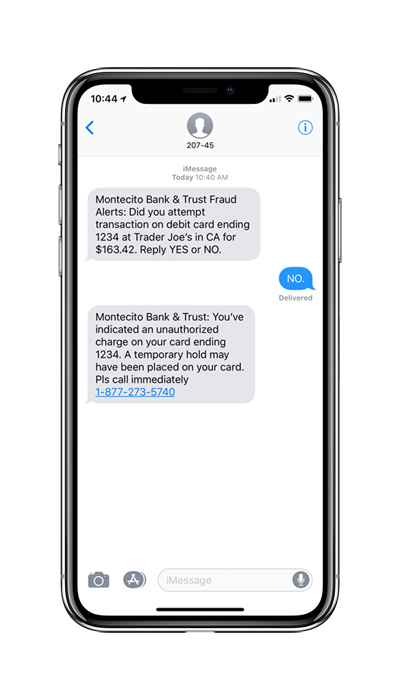 Fraud text alerts provide you with instant notification of suspicious activity on your debit card transactions. Sign up today to get real-time notifications so we can help prevent fraudulent activity on your account! Add or update your cell phone number by signing on to your online banking account or contact us at 805-963-7511 and ask to be enrolled. 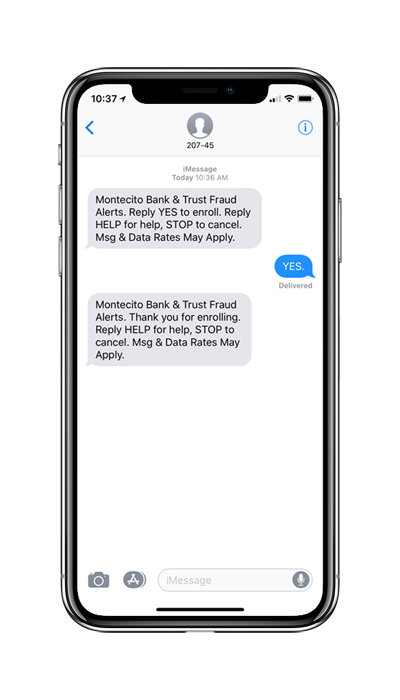 After adding a cell phone number to your account, you will automatically receive a Fraud Alerts activation text asking you to confirm your enrollment. 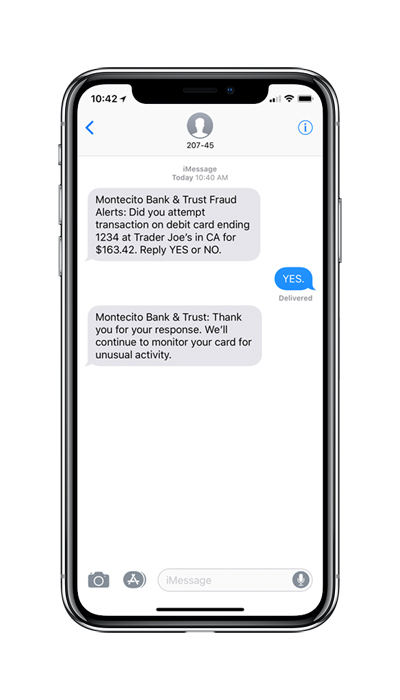 The next time our system detects suspicious activity on your account, you will receive a text asking you to confirm if you attempted the transaction via text. If you reply “NO,” you will receive a text requesting that you call (877) 273-5740 to address the fraudulent transaction(s). We're always here to help with any questions you have.